We had a first during our pond dipping activity at Sacrewell in September. 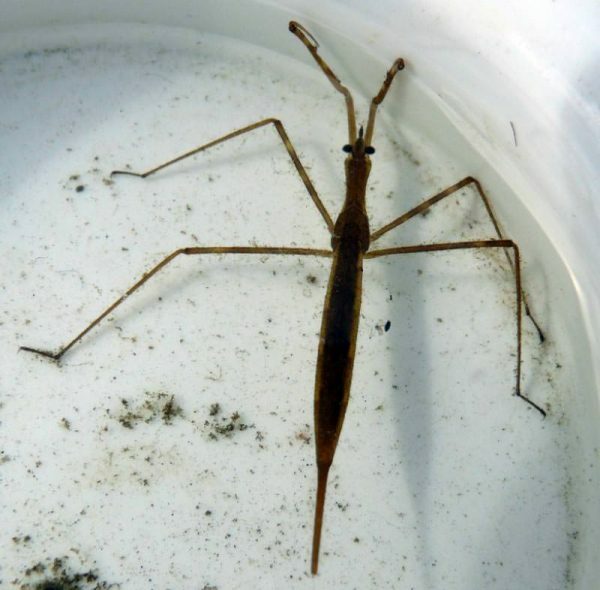 Our eager dippers scooped out a predatory Water stick insect (Ranatra linearis) from our mill stream. Although known to lurk in the waters of southern and central England where it pounces on tadpoles and small fish, it is the first time we have recorded the species at Sacrewell. We pond dip in the same area every day throughout the summer, and a discovery like this really goes to show that there’s always something new to be found.